Jacob is thirteen months old. He has dimples that appear when he chases his older brothers down the hallway, toddling to catch them without losing his balance. And though none of us have red hair, he does. The woman at Albertson’s grocery store exclaims, “Look at that red hair”. When she sees him sitting in my shopping cart basket. Jacob lifts a bag of goldfish crackers up to me to place on the conveyor belt. The woman pauses midway through scanning, to catch his attention by waving. Mannequin photo by Ralph Hockens used with creative commons license. “Hi!” he says, and waves back. Her expression softens with a smile, and she continues scanning. “I know, right?” I respond proudly. “He’s our first red head in three generations. He’s here to light the world on fire. Isn’t he amazing?” I look adoringly into his blue eyes framed by long, thick lashes. Jacob thanks me by revealing his dimples. Jacob is 5 months old. I cradle him in exhaustion during a Tuesday morning 3 am feeding. Tears slide down my cheeks, because I am so tired that I don’t remember what it feels like to wake without a baby crying as my alarm clock. I haven’t slept more than three consecutive hours since he was born. Jacob never sleeps, so I don’t either. He has acid reflux like his four older brothers did, and none of them were good sleepers. It is harder on my body to go without rest at 41 than it was at 30 or 33 when I did this before with my other sons. I lose things more often. Like the minivan keys I hunted 27 minutes for yesterday. I finally found the keys in the refrigerator. They were resting on the shelf beside the gallon of 2% milk. I look down as his little palm rests on my breast, and he pats twice it like he’s trying to get the last of the ketchup out of the bottle. I smile as new tears escape from the edges of my eyes. He was born 3 hours ago. I am exhausted, recuperating in my hospital bed. I’m slowly regaining feeling in my legs, as the medication wears off from from my c-section. I’m afraid if I close my eyes, to sleep, he’ll disappear. I gaze at his swaddled form through the clear plastic walls of the hospital bassinet to my right. His long lashes open and he stares at me intensely. I will name him Jacob. I will name him Jacob, because it means supplanter – taking over for someone else, usurper. He’s already taken over my heart. He won’t replace the boys I already have, or my love for them. This is why it’s worth it, I remind myself. my blood draws with sticky fingers wrapped around mine. and years of lost time with hope. When I become pregnant someday, Jacob will usurp the pain of waiting, and years struggling to conceive him with joy. He will overtake the doubts I have in my ability to manage new motherhood in my forties. 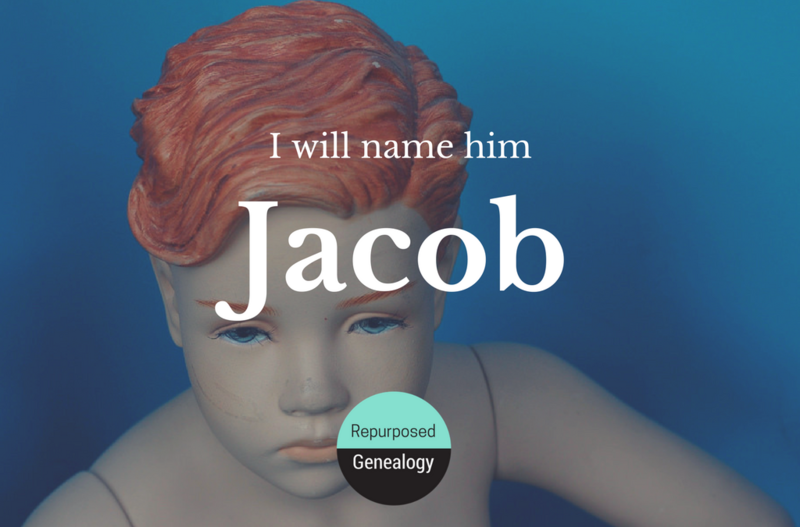 Conceiving Jacob will supplant the fear. Fear about the future, and spending money we don’t have. 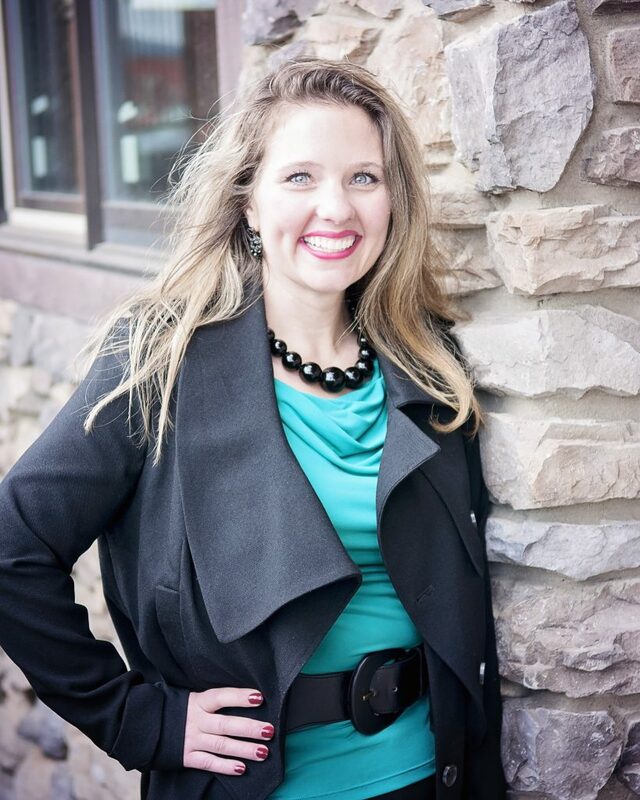 Fear of expensive, invasive infertility procedures, that might not work this time. Jacob will lift the frustration and despair that I feel every month, when I see the blood again. And the guilt that my amazing, strong, 40 year-old body which has endured 2 pregnancies through IVF, still can not conceive a child without it. 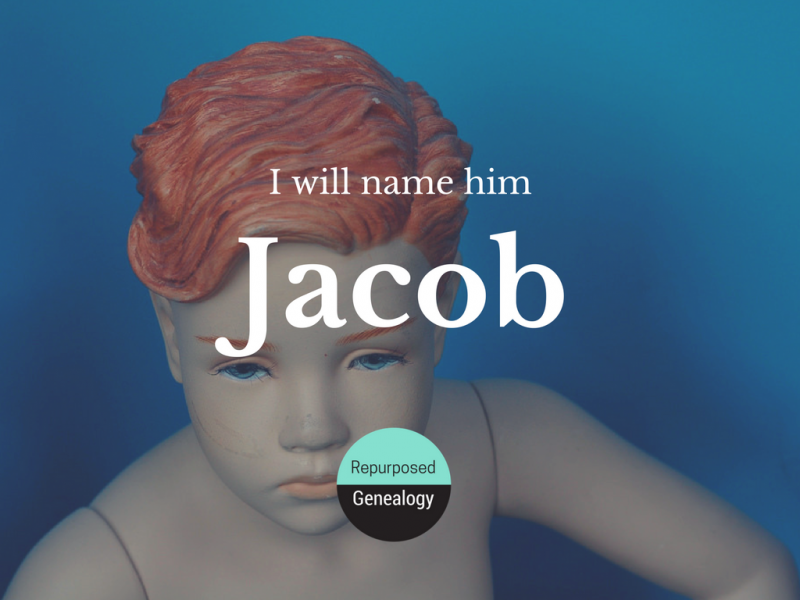 I will have another son, and I will name him Jacob. Genealogy Jen’s Challenge of the Week– Mother’s Day was a rougher one for me this year. One of the hardest things to reconcile is being the mother that I am, rather than the mother that I wish I was. How do you draw strength from your life experiences to face your current trials? Bonus Points – Write a thank you note to a friend or family member who’s example has helped you endure trials.